Mr. Arthur Curtiss James sends a check for $52,500 to pay for the enlargement of the Berry Chapel. 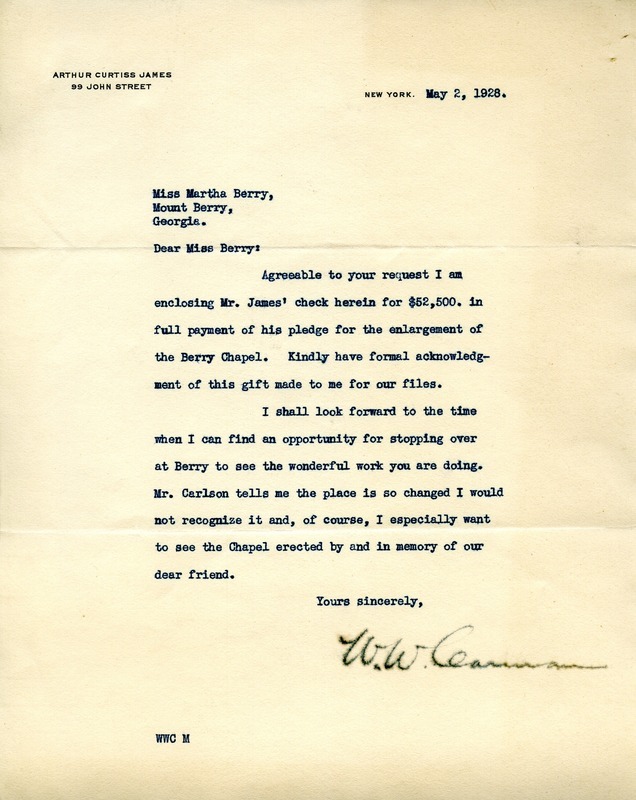 W. W. Carman, “Letter from W. W. Carman to Martha Berry.” Martha Berry Digital Archive. Eds. Schlitz, Stephanie A., Christy Snider, et al. Mount Berry: Berry College, 2012. accessed April 19, 2019, https://mbda.berry.edu/items/show/8072.